If you are new to building websites but want a website for personal use or for a small business, you’re probably asking yourself the question “how do I get a website?” You can find plenty of sites that give you long articles about this topic and you can even find whole books written on the topic. Here’s a simple description in 3 steps of how to get a website. I also provide a simple solution for those who want a website but don’t want to spend the time learning how to get a website. A domain name is your website address in the form of www.yourdomainname.com. It can be whatever you choose as long as it is available. You can buy domain names from domain name registrars like GoDaddy. This is the first step in getting a website. After you have purchased a domain name, you will need to get website hosting. A web host provides the physical storage for your website that is available publicly on the internet. There are many website hosts but only a few reputable hosting companies that provide a valuable product and good support. I recommend HostGator and use their hosting for all my clients. 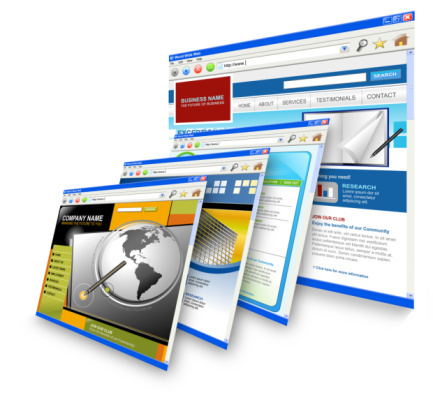 The first two steps to get a website are the least time consuming. It’s the process of designing your website that is the most difficult. There are many options for designing your website including hiring a professional to create a custom design (most expensive) or using a website builder to do it yourself (least expensive). However you choose to get your site designed, make sure to keep in mind search engine marketing and ongoing maintenance of your website. This is a very short description for beginners on what it takes to get a website. If you’re not interested in all the details, then my Web Eminence Complete Website Package will probably be a good fit for you.